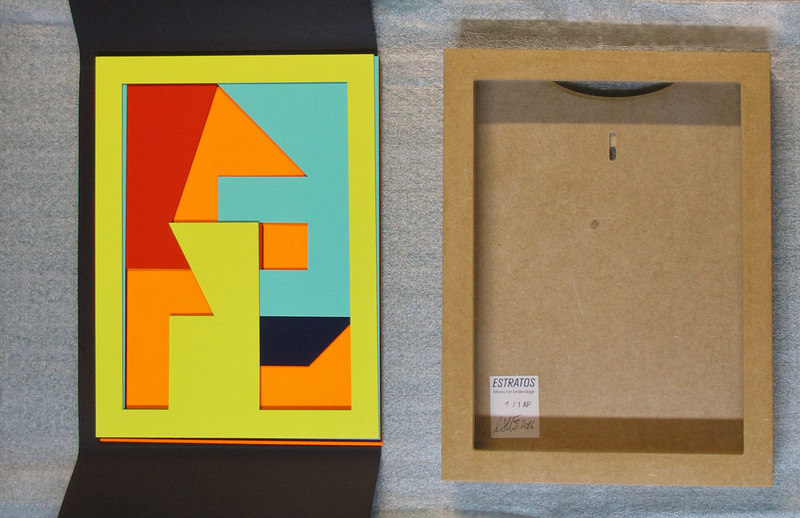 Box edited by Underdogs. 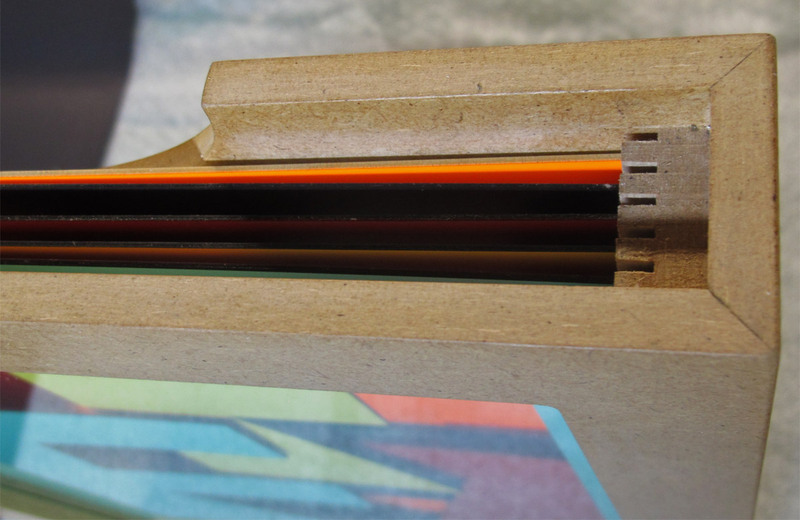 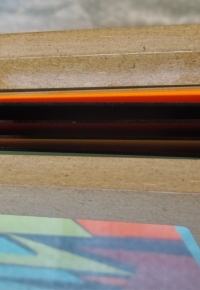 5 colored layers that can be turned and reordered to create endless combination possibilities. 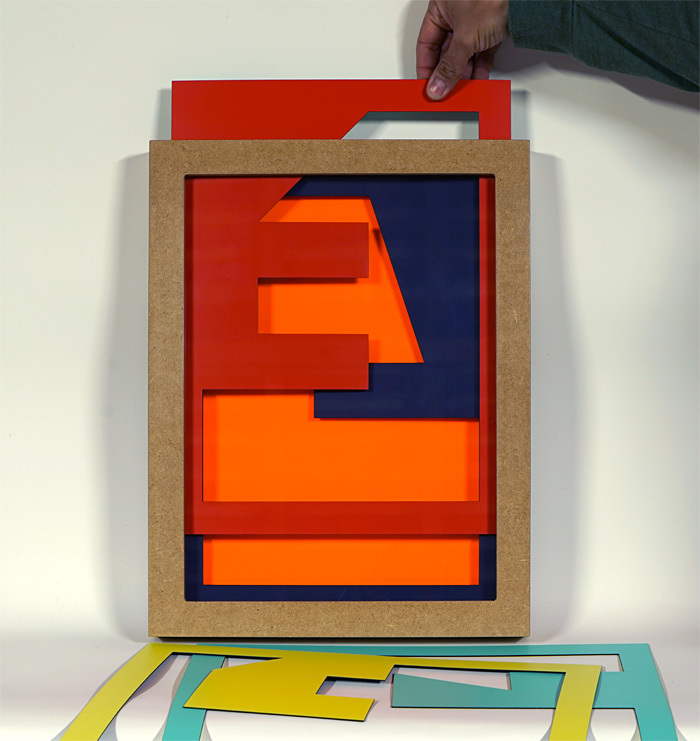 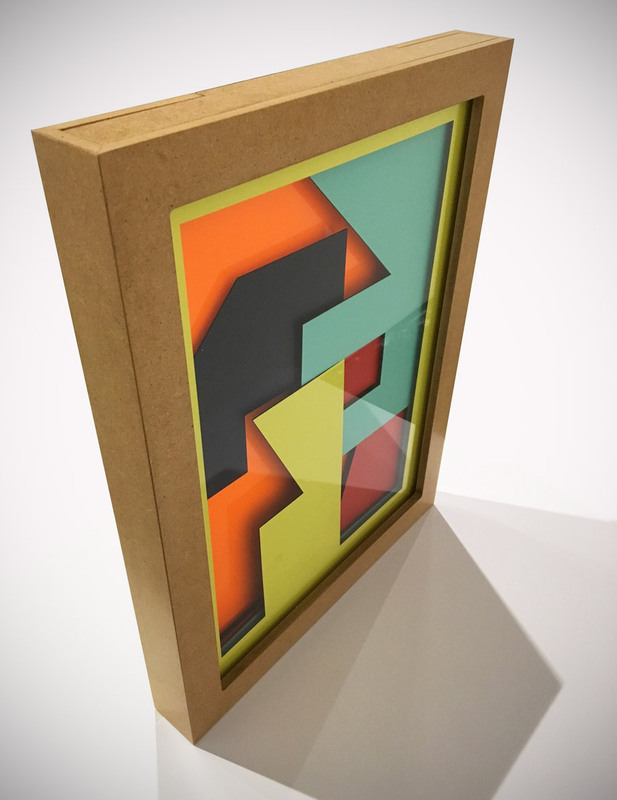 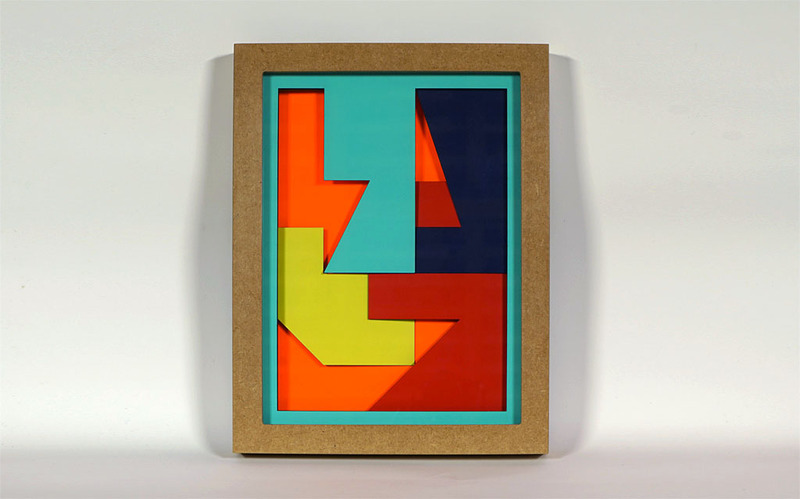 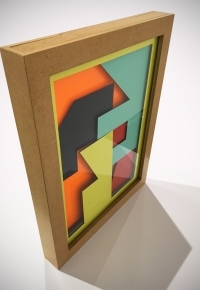 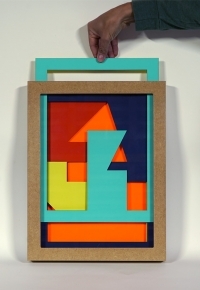 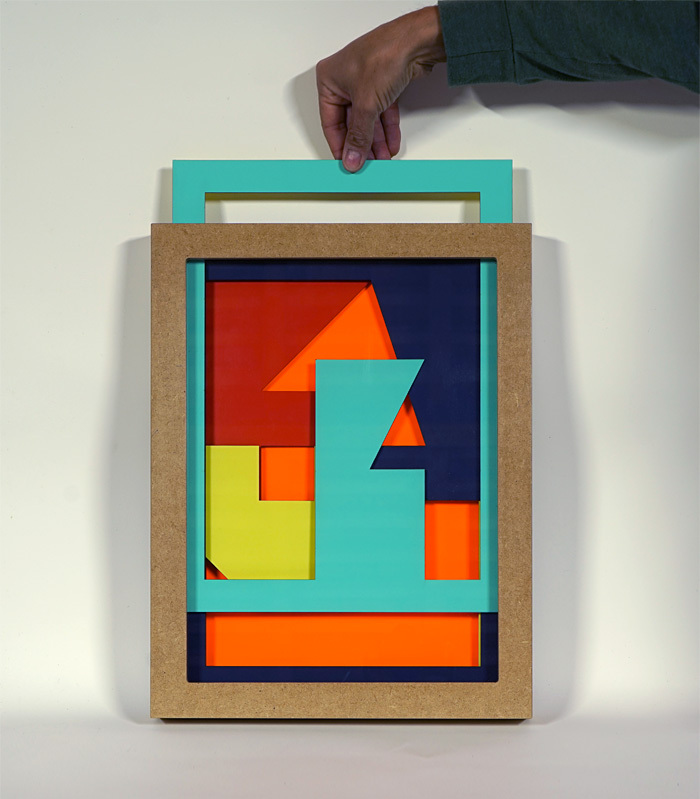 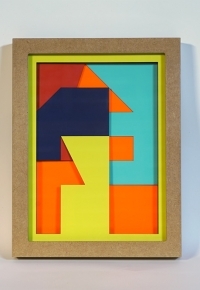 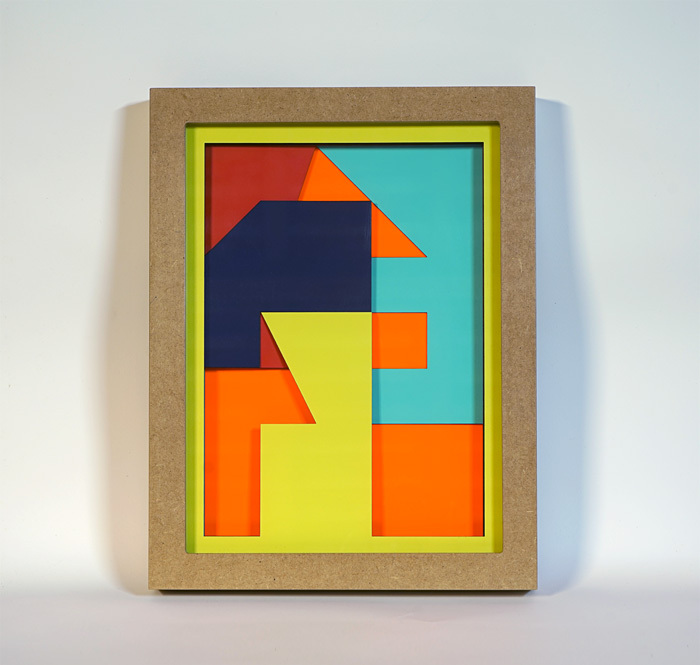 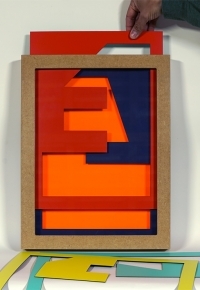 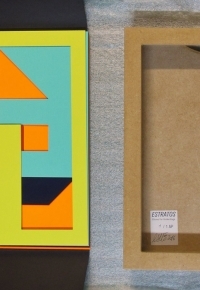 Edition of 14, signed and numbered; Mate vinyl coated five-layer cut-out cardboard on wooden mount. 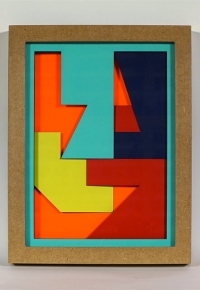 42,5 x 33 cm.